Each tire on your car wears differently. Having your tires regularly rotated helps to balance out individual wear and even makes your tires last longer. Generally speaking, try to get your tires rotated every six months or 5,000 to 8,000 miles. However, it’s best to refer to your vehicle’s manual as this number changes depending on make and model. Aim for getting your tires rotated between every 5,000 and 8,000 miles. This number changes depending on the make and model of each car, so if in doubt, check with your technicians the next time you get an oil change. As long as you rotate your tires regularly, they should last for a long time. However, it’s still best to replace your tires every 5 years, especially if you often drive in adverse weather. You could be losing efficiency if your tire pressure is too low or too high. To make sure you’re getting the most bang for your buck, make sure that your tire pressure remains at the level recommended by your manufacturer. Tires naturally wear down with use. However, if you feel that they are wearing out more quickly than they should, check the alignment and pressure. If your tires have too much air, too little air, or are misaligned, they will have to work harder than they should. This results in faster than normal wear. 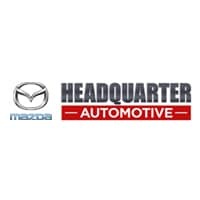 At Headquarter Mazda, our expert staff is always ready to answer questions and be of service. If you’re concerned about the state of your tires, don’t hesitate to contact us today or schedule an appointment.